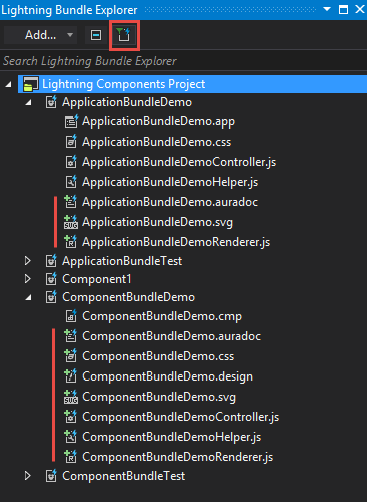 using the Show only existing files button in the Lightning Bundle Explorer: toggle off this button, and in addition to existing items you will see the yet to be created items with the plus icon. When you double-click on such files, they will be created on the Salesforce and locally. When the creation is finished successfully, you will get the notification message, and the created file will be opened in the editor. NB: The Welkin Suite will create new bundle items in the same folder on the hard drive of your PC where it's .cmp or .app file is located.